Home heating oil expenses add up, especially for large properties. Thankfully, there are steps you can take to limit your fuel usage and keep costs manageable. Use the tips below to extend the life of your fuel delivery. Warm air leaking from inside your house through door or window cracks could cause your furnace to burn up more fuel than necessary, since it will have to work harder to maintain the desired temperature. Carefully inspect your windows, doors, and baseboards for gaps and apply caulk or weatherstripping to these areas to make your home as airtight as possible. The U.S. Department of Energy advises programming your thermostat to turn down by 10 to 15 degrees Fahrenheit during periods when you’re sleeping or out of the house. 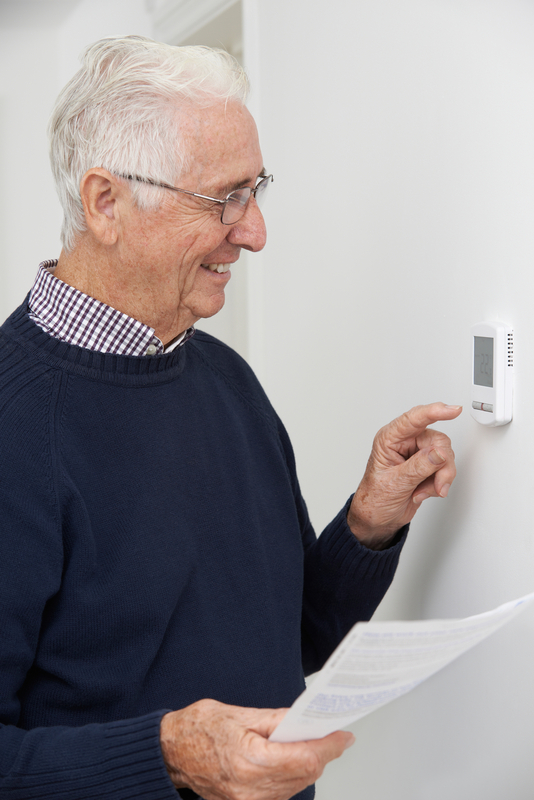 Setting the thermostat to adjust automatically will allow you not just to save on home heating oil expenses during winter, but also on air conditioning bills during the hot months. Letting sunlight shine in through the windows warms up rooms naturally and helps lessen fuel consumption. Roll up the blinds and open the curtains during the day to take full advantage of the sun’s warmth. Make sure that there are no appliances or furniture blocking the vents and preventing warm air from freely circulating around the rooms in your home. In addition, make sure there’s nothing near your fuel tank, as items leaned up against it could cause damage. Obstructions could cause the furnace to work harder to warm the house, burning more oil than necessary. Getting your furnace serviced and cleaned by a contractor at least once a year ensures that the unit operates efficiently, burning less fuel. Though you’ll incur a fee for this service, the money you’ll save on heating oil costs in the long-term is worth it. For professional furnace maintenance and reliable 24-hour burner service, Uncasville Oil, located in New London County, CT, is ready to serve you. With over 20 years of experience in furnace installation and emergency home heating oil deliveries, they’ve earned a reputation for outstanding residential and commercial service. For free estimates and to learn more about their affordable plans, call (860) 848-7484 or visit their website.